Get ready for some fruity wins on Frooty Licious Slots. This marvellous game comes with a 90.74% RTP and it has features such as Prize Pick and Free Games. 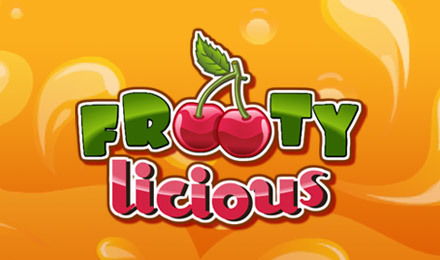 Designed by Eyecon with an RTP of 90.74%, is Frootylicious slots. The 3 reels and 9 payline slot game will satisfy all your fruity cravings with the wide variety of fruits on the grid. With Wilds, scatters and free spins, there’s no better way to enhance your game play. Land three scatter bar symbols and receive eight free spins. Get all your prizes tripled on the feature and re trigger the feature up to fifteen times. Activate the prize pick feature which can award you 111x multipliers!